Most of us want to make more money. But we don’t want to give up our free time to do it. Sure, you could get a part time job on the side but that means more nights and weekends away from your family. You want a way to get more income without working longer hours. Do you ever feel stressed about your finances? What would happen to your family if you suddenly lost your job? Most of us were taught to go to college, get a good job and live happily ever after. But this financial plan isn’t working out for most of us. Finances are tight and the government isn’t going to bail us out. So if you don’t look after your family… no one else will. You can create financial security for you and your family with a part time business. You’re about to learn how to generate a side income every month. And you won’t have to give up your free time to do it. In fact, it can even be fun and based on a hobby you love doing. With an extra stream of income coming in each month. You can use it to buy what you like or take a well deserved vacation with the family. Just because you turned your passion into a side business. Golf was one of my biggest passions a few years ago. 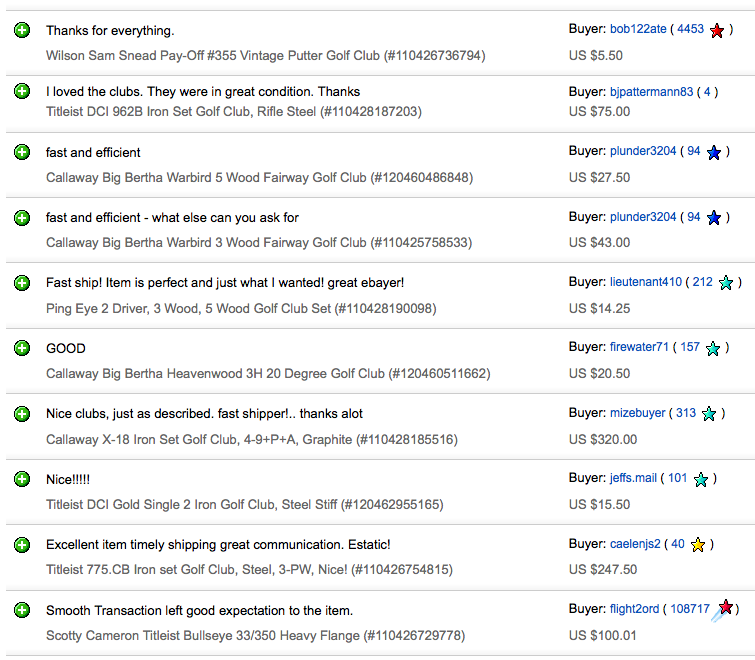 And I turned my love of golf into a side business selling golf clubs that earned over $1,000 per month. Since then I’ve run multiple side businesses that have brought in hundreds or thousands of dollars per month. 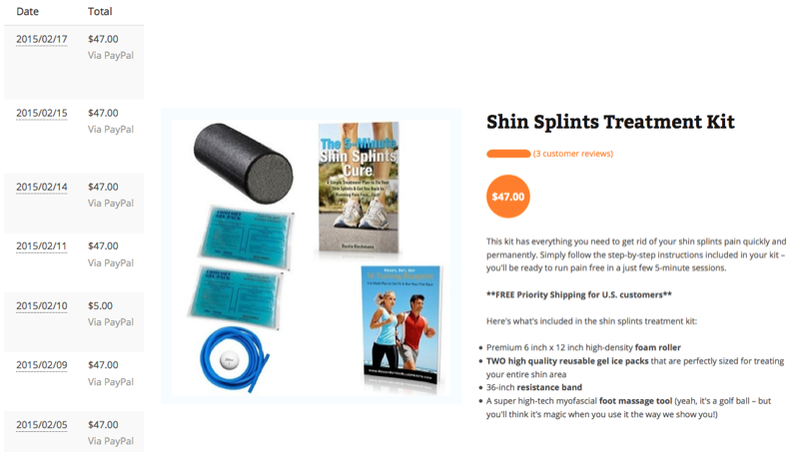 One sold a Shin Splints Treatment Kit and the income was pretty passive (I made money whether I worked or not). Another involved tutoring and teaching (online and in person) with my wife. And of course there’s Engaged Marriage. All because I know how to turn my passions into income. Dan Miller is the author of the New York Times best-selling books 48 Days To The Work You Love, No More Dreaded Mondays and Wisdom Meets Passion. He has been a guest on CBS’ ‘The Early Show,’ MSNBC’s ‘Hardball with Chris Mathews,’ Moody MidDay Connection, and the Dave Ramsey Show. Over 130,000 people have subscribed to his weekly newsletter to help them create work and businesses they love. And there are tons of ideas on what you can do. Amazon even sells them for us! Plus I have many other examples I’ll share with you as well. 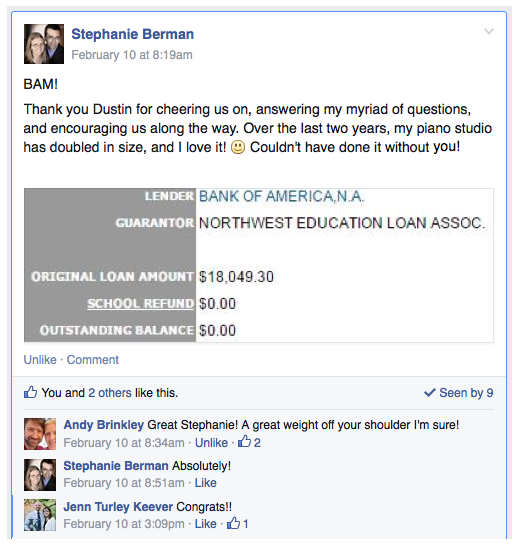 Please note that these are a few specific examples of results from my businesses. These results should not be considered typical and your results will vary. How to get started earning a side income this week... there's no reason to wait! This is an recorded online seminar I did with Dan that includes video, audio, presentation slides and a full text transcript… you get access to it all. Obviously creating a side business can be worth a lot of money to you and your family. After all, how much would you invest to get back an extra $100, $500 or $1,000 every month? But you’re not going to pay through the nose for this. Your access is just a one-time payment of $49 $29 when you act now. There are lots of “get rich quick” schemes online. I know, I’ve invested money in products that didn’t help me make money. And that’s why I want to share with you what actually works. Plus Dan is a best-selling author who really knows his stuff. And you don’t make money with it in the next 60 days. I’ll refund every cent you’ve paid. Even if you never bother to watch it. No hassles, no shenanigans… just email me and it’s done. All because I know that if you try it… you’ll love it. This 158-page book is complete with 48 ideas that you can use or modify to get started building your own side business today. It’s valued at $20 but it’s yours free with your purchase today. “48 Low or No Cost Business Ideas was exactly what I needed to get me from frustration to intentional planning and working. I realized that there are so many options available for creating a business and creating a life from my passion that don’t require a lot of money to start! Dan’s special report gave me the “kick in the pants” I needed to do the work and make something happen. This case study shares a behind-the-scenes look at the top three side businesses we use to bless our own family with extra income every month. We’ll link you to the exact websites, products and services that we use and even show you screenshots from our sales so you’ll have real-life examples to follow in creating your own side business. How often do you dream about having extra money for your family? And you think "I should start a side business... someday". But let’s face it… someday never comes. Just imagine what you'll be able to do for your spouse and kids with an extra $100, $500 or $1,000+ each month. Today is the day to invest in your family's financial future. You get immediate access to How To Make Extra Money On The Side. Plus an exclusive Q&A session where Dan and I answered lots of detailed questions from aspiring entrepreneurs just like you. 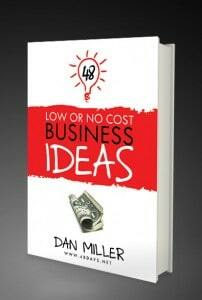 Plus a digital copy of Dan’s book 48 Low Or No Low Cost Business Ideas. Plus a detailed case study showing you the exact side income streams our family uses today. So you can get started earning a side income as soon as you desire. Just click the Add To Cart button below, fill out your details and you’ll get instant lifetime access. P.S. You’ll get instant access to all the information you need to start your side business and start earning income fast. You’ve seen how I’ve started multiple side businesses that earned over $500 a month (with some passing the $1,000 a month mark). 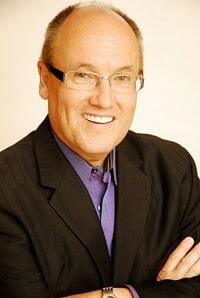 And Dan Miller is a best-selling author with over 130,000 followers. Plus you’re protected by my 60 Day “Make Money Or Refund” Guarantee. "This workshop was right in my wheelhouse and gave me some great suggestions, but more importantly gave me encouragement to find more creative and fun ways to make side income. I will definitely put the principles I learned to good use and make money!" "I was definitely inspired. The workshop left me feeling like the possibility of earning an additional income is within reach. More importantly, the income would come from endless possibilities that stem from my life experiences, my interests, and what I already know that I could share with others. The idea that I can take an existing idea and put my own 10% twist on it has a completely different feeling than believing that I have to come up with the next perfect or new idea to really make money. I immediately shared my enthusiasm with the people I love because I already see the opportunities that could come from their unique talents and interests. I believe that incorporating this mindset as a way to earn extra income can make a significant difference for our financial future and bring us even closer as a family as we work together to get creative, using what already interests us, to fund our dreams." Dan is the author of the New York Times best-selling 48 Days To The Work You Love, No More Dreaded Mondays and Wisdom Meets Passion. He has been a guest on CBS’ ‘The Early Show,’ MSNBC’s ‘Hardball with Chris Mathews,’ Moody MidDay Connection, and the Dave Ramsey Show. Dan has spoken at the White House Christian Fellowship, and is in high demand at national conferences speaking on aging and changes in the workplace as well as at universities and churches. Over 130,000 people have subscribed to his weekly newsletter, his 48 Days Podcast consistently ranks in the top 3 under Careers on iTunes, and the 48Days.net business community is viewed as an example around the world for those seeking to find – or create – work they love. Committed to personal priorities, Dan and his wife Joanne recently celebrated their 45th anniversary and have 3 world-changing children and 12 amazing grandchildren. Dustin's passion is providing practical tools that you can use to keep your marriage fresh and fully "engaged" even when life gets hectic. He is especially excited about helping others find greater freedom by adding side income sources. He's been married for over 15 years to his best friend Bethany and is a proud Dad to three very energetic kids under the age of eleven. This program is for you if you're ready to start bringing in some side income doing something you enjoy without spending all your spare time doing it. While it's great if you have some ideas already, the workshop will lead you through a powerful brainstorming idea to help you find just the right idea and lead you through the first steps to success. The easiest way to know if this side income workshop is right for you is to TRY IT! With our 100% satisfaction guarantee, I encourage you to pick it up and give it a try for 60 days. I know you’ll love it, but if you're not blown away by the positive change you experience, just let me know and you're getting a full refund. No problem, no hassle, no risk. You're a fellow skeptic - I love it! The formal bios are above for your reading pleasure but the bottom line is this workshop is taught by two guys who are committed first and foremost to God and our families, and secondly to helping YOU find success. We're passionate about building multiple streams of income, and we've got many years of experience not only teaching others but building successful side businesses for our own families. Dan is a New York Times best-selling author and coach who has a passion for helping people find and thrive in work that they love. 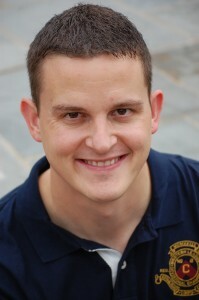 Dustin's passion is helping busy married couples achieve their dream marriage and live a rich life. We make a great combo to teach you how to earn extra income in a practical, family-friendly way. We are here to serve you for a lifetime of happy marriage, and this side income workshop will be here for you whenever you need it. As we make updates or add new bonus material, your member's area will automatically be updated as well. Nope, nothing via snail mail. I want you to have instant access to everything just minutes from now. Immediately upon purchase, you’ll get an email with your personal log-in information to your private member’s area where we’ll have everything waiting for you. The workshop will be available to you immediately, at your fingertips, from any computer, tablet or smart phone whenever is most convenient for you. And all future updates are yours, too, totally free. I'm 100% confident that you’ll love this workshop and want to tell all your friends about the incredible value you received when you purchased it. I believe this so strongly that I take all the risk and offer you a full, money-back guarantee for two months after your purchase. If you buy it and don’t love it for any reason, just let me know and I’ll refund your purchase price promptly. And we’ll still be your friends. No problem at all. Go ahead and shoot me an email to dustin@engagedmarriage.com with the subject line "How To Make Extra Money On The Side Question" and I'll be happy to help you. Here at EngagedMarriage.com we make every effort to ensure that we accurately represent these products and services and their potential for income. Earning and Income statements made by our company and its customers are only estimates. There is no guarantee that you will make these levels of income and you accept the risk that the earnings and income statements differ by individuals.